An introduction to any kind of paper could make or break its quality. That is why the answer to the question how to write a good essay introduction is just one of the most sought after. But generally, most English essays contain the same qualities of what they call a good introduction. And that is to denote what’s coming next by either posing a question, setting a tone, or both. 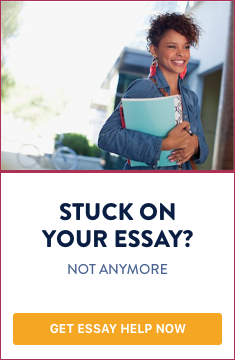 Aside from being straightforward, you should also keep in mind that writing a good essay introduction is to catch and hook your readers, making them want to read and learn more. The first thing that you should note in starting your introduction is how to hook your readers. And by saying that means making it difficult for them to put your paper down, or to stop without having it read up to the last paragraph. And this only implies one thing - the first sentence of your very first paragraph should already pull your readers’ attention in such a way that they become intrigued or even fascinated of what’s coming next; thus, making them want to read more. Yes. Your readers are your audience and the introduction of your essay will determine the quality of your performance from the very beginning. And by using interesting facts, you will surely be able to catch their interest even more. These facts do not need to be long. Even a single sentence is enough as long as it connects to the succeeding paragraphs and surprises your readers at the same time. But the facts that you are using in the introduction should not be the same statistics that you will be using as evidence in the body of your essay. Inserting an anecdote to your introduction is a good idea to keep your readers interested if you are writing a less formal essay. Your introduction will set the mood of the entire paper, but that doesn’t mean it needs to be serious. Just consider having some funny yet moving and relevant story as part of your introduction. It will allow your readers to have an idea of what you will be talking about in the next paragraphs without getting them bored. Making use of quotations from books or lines from famous people will also hook your readers in an appropriate way as it connects the past to more contemporary information. However, the relevance of these quotes must also be explained in the next paragraphs. And of course, nothing beats asking a relevant and provoking question that will leave your readers wanting more if they do not continue up to the end. But you should not just toss any information in your introduction that will not serve to be useful in expanding the main idea of your essay. Again, anything that you insert in your introduction shouldn’t just be left as that. You may continue explaining them to avoid having hanging information. This will then transition to your argument, or what they call your “thesis,” or the summary of what you are arguing about in one or two sentences. It is very important that you will be able to find a way to link how you started your essay to what the paper is really about. And outlining your thesis or argument is just one way of doing this. Understanding your thesis is then the primary step to do that. In writing an essay, you don’t need to stick to using the first person pronoun or point of view. Most people also believe that making the introduction should be the primary thing to do when planning to write an essay. And that is right, as it will guide you through the rest of the paper. However, there are also people who prefer writing the introduction right after doing the body paragraphs, which is also correct. But either way, make sure that your thesis has already been clear to you before you start writing. See to it that it will also link to the assigned questions, if there are any, which you will be tackling in the next paragraphs. Otherwise, the quality of the whole essay will be irrelevant if your points don’t correlate with each other. So again, writing a good essay introduction requires two things – knowing your thesis and interpreting it correctly.